Here’s a victory message I ghost-wrote on a bill that was signed by the Governor and was very popular with CLCV members. The message pivots to another action because CLCV’s list tends to perform extremely well on post-action donation pages, significantly better than on direct contribution asks, with far fewer unsubscribes. I’m thrilled to share this incredible news: Governor Jerry Brown has signed AB 96, the bill to ban the ivory trade and protect African elephants! Thanks to thousands of activists including more than 27,000 CLCV supporters like you, state lawmakers stood up to powerful opponents like the National Rifle Association and ivory dealers and closed a critical loophole in California law with AB 96. By shutting down the second-largest illegal market for ivory in the nation, AB 96 deals a significant blow to global poachers. Urge President Obama to close the loophole in proposed federal ivory rules. Ninety-six elephants are killed every day for their ivory — that’s 35,000 of these majestic animals killed each year. Because African elephants are now being poached at a higher rate than they are being born, they are heading toward extinction unless we can stop the demand for ivory. You may recall the story we shared about a baby elephant named Losoito, who lived for only a few days after his family was killed by poachers for their tusks. Losoito’s tragic story motivated thousands of you to take action — an incredible 27,000 of you sent emails and called your lawmakers, and many of you donated what you could afford to help us get this bill to the governor’s desk and signed into law. I am proud that, when Californians saw an unspeakable tragedy taking place all the way across the world, we said “NO” to our state being one of the nation’s biggest markets for illegal ivory stolen from majestic African elephants. Thank you for standing together with me and with thousands of other Californians to protect elephants. Our state has taken action to stop our role in the elephant slaughter with AB 96. Now, let’s close the loophole in proposed federal rules. Thank you for everything you do to protect the world’s precious wildlife. 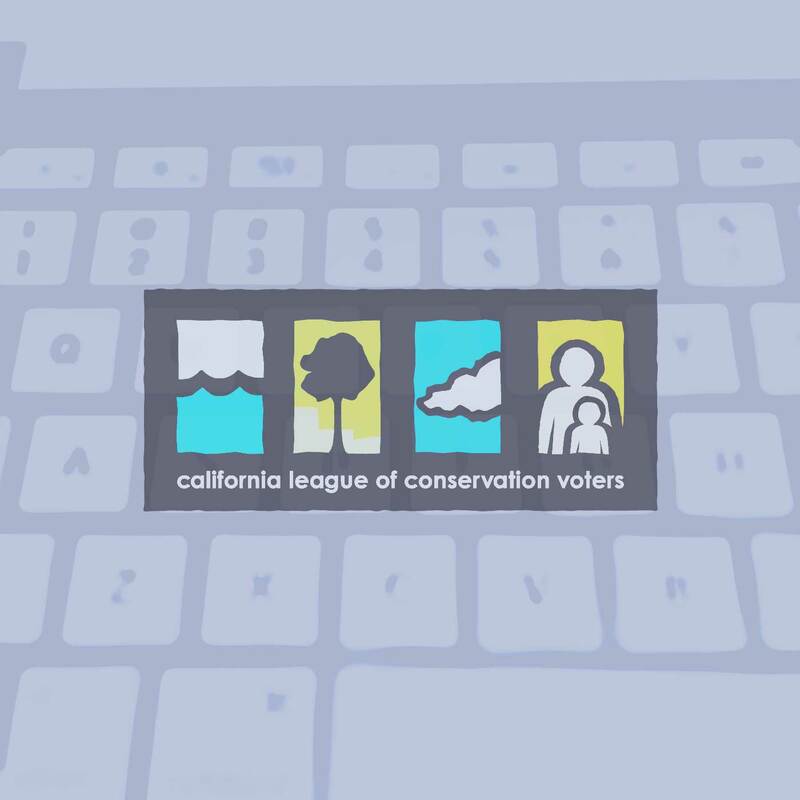 Since 1972, the California League of Conservation Voters (CLCV) has protected our land, air, water, and public health as the non-partisan political arm of the environmental movement. CLCV’s mission is to protect and enhance the environment and the health of all California communities by electing environmental champions, advancing critical priorities, and holding policymakers accountable.